I have sent it off to the printers and should receive my proof in a few days. I can't wait to hold this baby in my hands. It has been several years in the making, and I really can't believe that it is finally done. 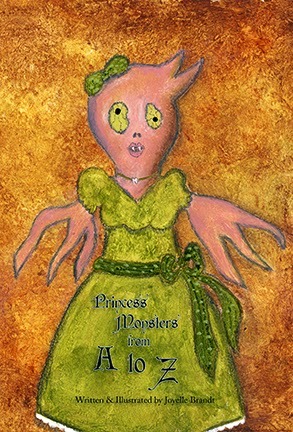 In the next few weeks I will be setting up a special Princess Monster page on this site, as well as setting up pre-sales for the book. Anyone who pre-orders the book will receive a 5x7 print along with their order, and all book orders will have the option to have it signed to the recipient of your choice! More to come soon, but for now, it's back to work for me. I have some new Princess Monster products in the works to go along with the book, but first I have to get painting!